The Gnaval Gnome was recently posted to Formation Halifax. His schedule was busy and included visits to HMC Dockyard, HMCS St. John’s, and HMCS Scotian. 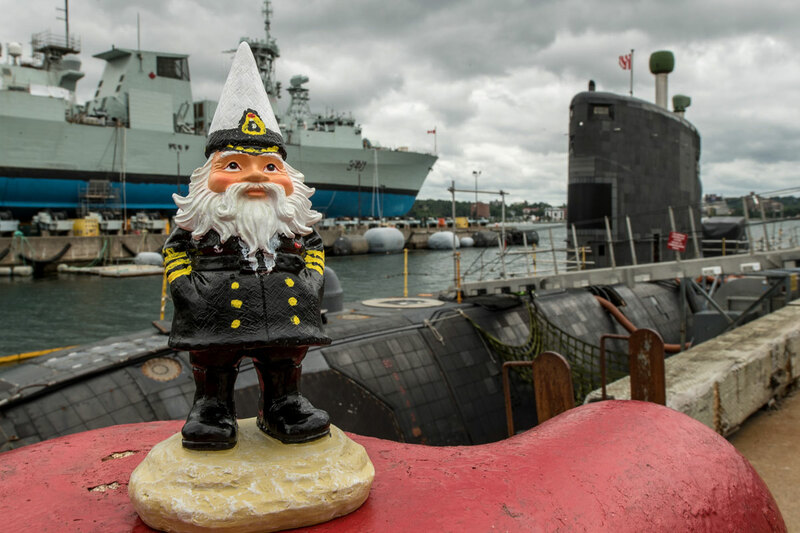 Pictured here, Gnaval Gnome enjoys the view of HMCS Windsor and HMCS St. John’s. He is now on a cross-country return trip back to his home base of CFB Esquimalt just in time for Defence on the Dock at Ogden Point, where he will be available for photos with the general public. Follow his gnadventures on his social media and Twitter.